Regular readers of techsledge.com and lovers of technology would have known quite a bit about AI. Artificial Intelligence. The effect that AI is having on human life is another story for another day. But today, what if I told you that there is a computer powered by AI that can recreate whatever image that you are thinking of. Yes it can show the picture in your mind. 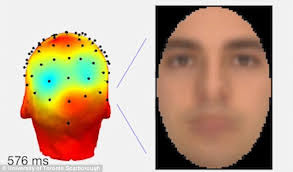 The experiment was carried out with test subjects who were hooked up to electroencephalography (EEG) equipment by neuroscientists at the University of Toronto in Scarborough, Canada. The AI then studies electrical signals in the brain to recreate faces being looked at by volunteers. 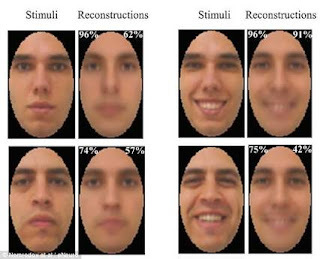 But before this happened, the team’s AI was first trained to recognise patterns in pictures of faces, by studying a huge database of images Once it was able to that, it could recognise the characteristics that make up a human face. It was then trained to associate them with specific EEG brain activity patterns. Wait wait, before you get scared. There can be be useful applications for this thing. Yeah. The technique could theoretically be used to create footage of daydreams, memories and other mental images. Thus It could also help patients in permanent vegetative states to communicate with their loved ones. Let's just hope and pray that mankind uses this new technology for only good things. Yeah.